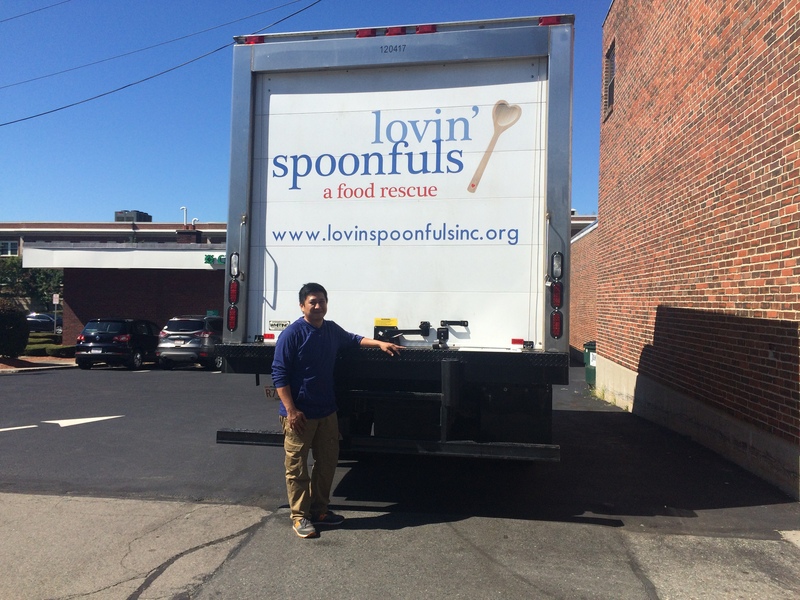 What does it take to be a food rescue driver? Well, driving is one part to the job. My day always begins the same way — once my coffee is almost done and Penny is warmed-up and ready to go, we hit the Turnpike west (watching those sad folks stuck in eastbound traffic) towards Needham, where great-looking food is waiting. Like any driving job, I coordinate with various receivers at each store. I’m respectful towards their work place by making sure I’m not in the way and that I’m taking the right products. They also have a lot of respect for what I do because they don’t have to have that awful, guilty feeling whenever they throw perfectly-good food away. They also know that their effort is for a great cause. They know it’s all going to people and organizations that will make the most of it. No matter if it’s the small Whole Foods in Wayland or the bustling Roche Bros. in Wellesley, that sense of mutual respect is the same. The other part of being a food rescue driver is knowing my beneficiaries and their preferences. Unlike a normal delivery job, there isn’t an invoice and it’s definitely not just a drop-off-and-go deal. It takes time but once I get the gist of what my beneficiaries like, I can better manage the products I have on any given day. For instance, Boston Rescue Mission loves cut fruits. Any type of meat will make their day also. Needham Council On Aging are my go-to whenever I have anything sweet like pies and cakes. St. Francis House loves it whenever I roll in with cases of ground beef and steaks. Grandma’s Pantry will take any and all dry goods in the truck. 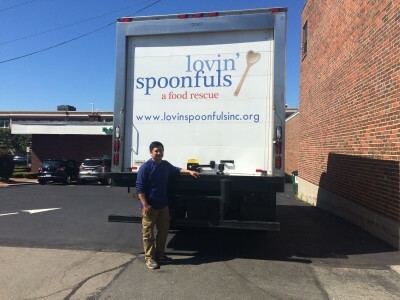 So when I roll out of Trader Joe’s in Needham with 350 pounds of fruit, kale, lettuce, and 3 handsome boxes of chicken and steaks, I know Carlos from Boston Rescue Mission will be happy and so will Lara from Friday Night Supper Program. She loves those leafy greens! Maybe it’s just me, but I love wheelin’ around greater Boston, and I especially love dealin’ with the fantastic people who are doing their part to provide a basic human right. Above all, I just love the all around thanks and gratitudes.